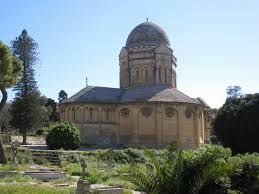 Prof Conrad Thake is debutting his work on the Ta'Braxia Cemetery by the famous E.L. Galizia, who was also the mind behind the Turkish Ottoman Cemetery. He will be providing a talk about his work for Flimkien ghal Ambjent Ahjar at the Italian Cultural Institute. The book narrates the challenging religious and political context during the mid-ninetheenth century and the determination of Governor Sir William Reid to bring the cemetery about, even in the face of Catholic opposition. So join us for this incredible journey back in time at the Italian Cultural Institute - a lecture by Prof Conrad Thake on this British presence still in our midst.